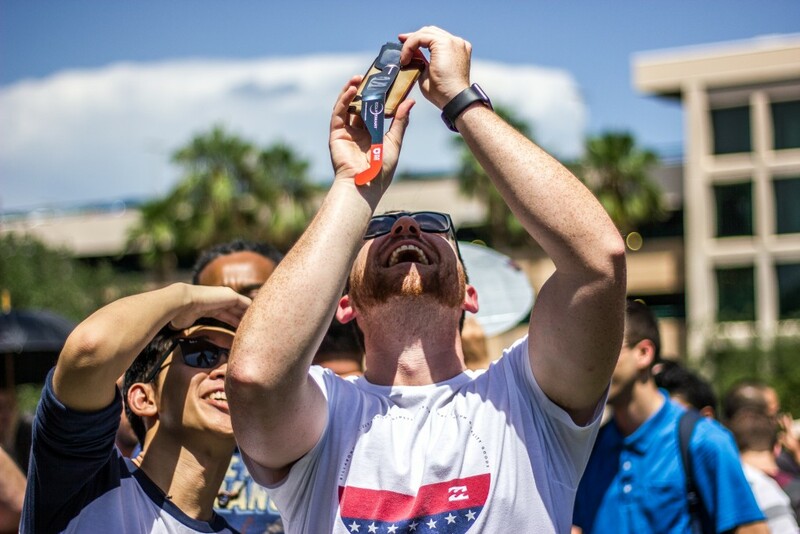 Yesterday, the USF campus filled with energy, not only in spirit of the first day of the fall semester but also to behold the rare spectacle, the solar eclipse. 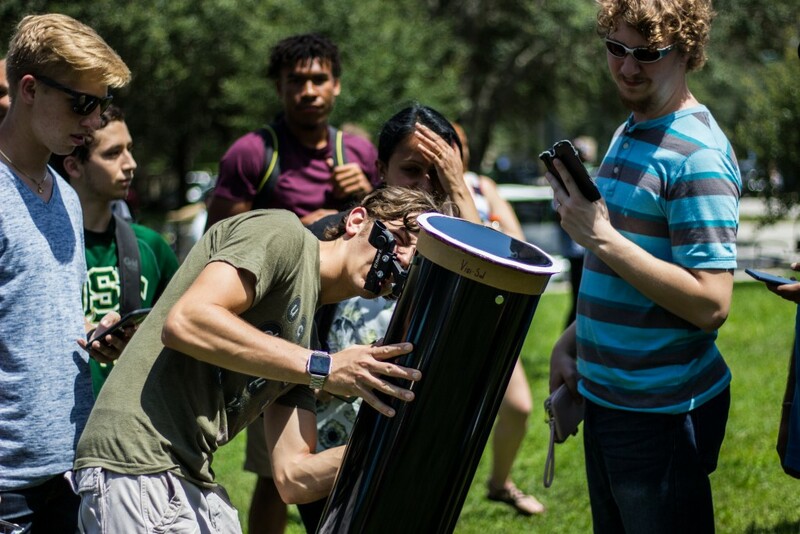 Throughout the hours of one and two o’ clock in the afternoon, hundreds of students and faculty gathered on the north side of campus, surrounding the Marshall Student Center, to witness the phenomenon that won’t cross North America again until 2045, where Tampa will be able to witness the eclipse in totality, according to astronomy professor Kevin Mackay. 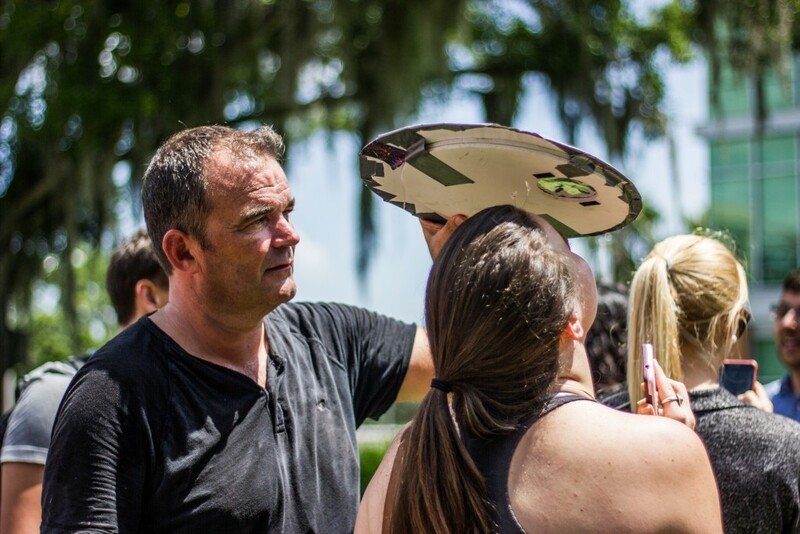 Helping facilitate the observation of the eclipse was Mackay and the astronomy club, who all helped students and faculty witness the eclipse with numerous types of telescopes and even solar glasses that were handed out throughout campus. 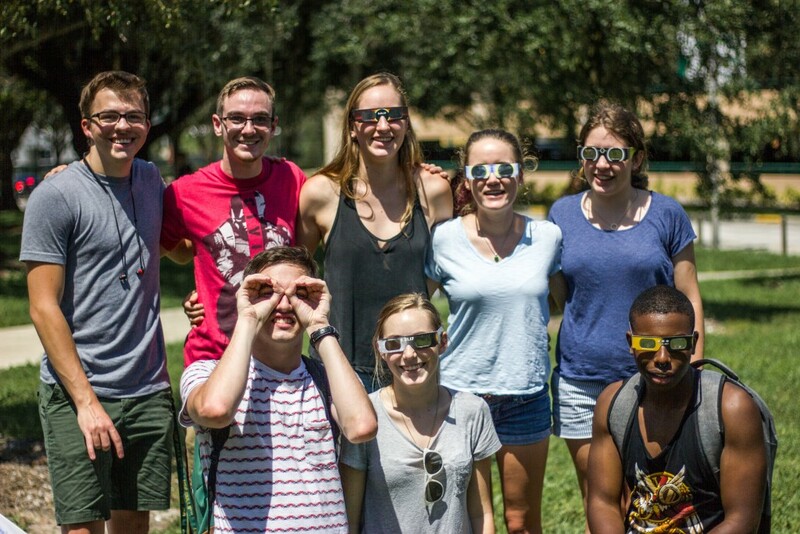 At 2:40 p.m., as the solar eclipse approached its peak, the enthusiasm and excitement from the students and faculty, who gathered, did as well. 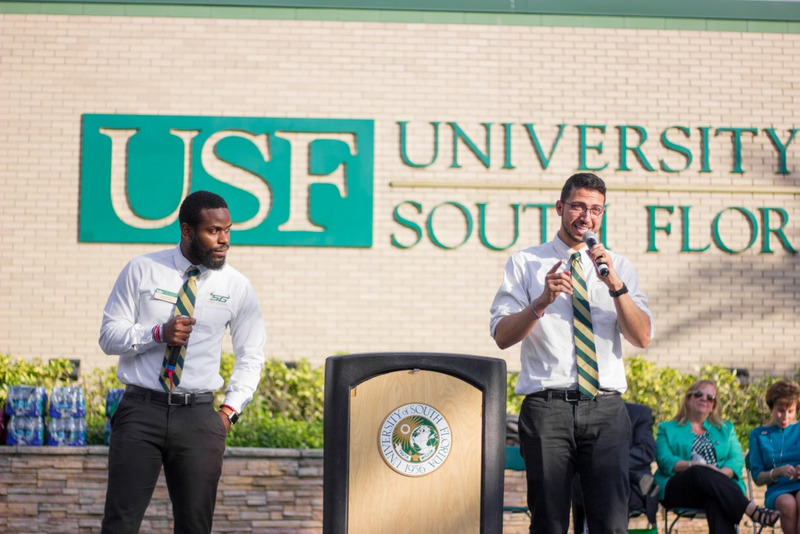 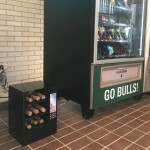 In addition to the rarity of this event, students were also interested in other factors, such as the historical relevance or the celestial magnitude of this event. 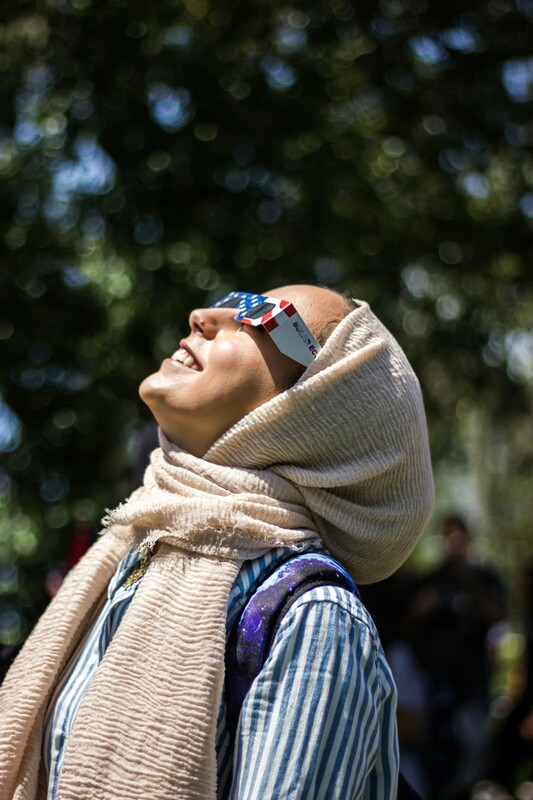 Students such as Fatima Shuayb, have been waiting to see the eclipse for a long time and were not only excited to see the university come together for such an extraordinary event, but to make an incredible memory as well.